Mr. Madison's War has concluded with a Great Victory in New Orleans led by General Andrew Jackson. Our men are returned from their victory amidst loud "HUZZAH’S" and celebration! 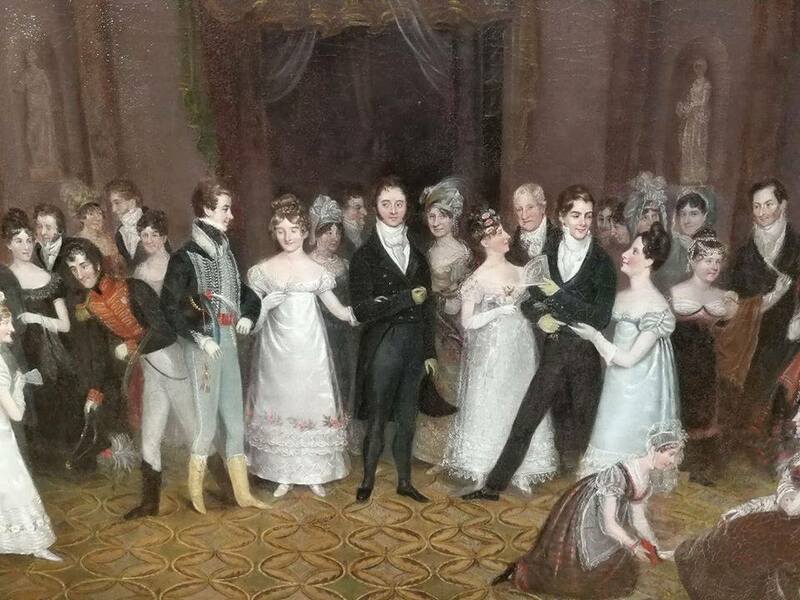 Join us in an evening of Most Fashionable Dances of the Year 1815, as well as old favorites, and perhaps a scandalous new "Walse" or two! 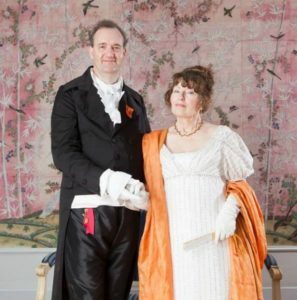 A Dessert Collation and coffee will be served at The Interval with music throughout the evening by The Syllabub Players, Julie Gorka & Walt Robinson, who are much acclaimed for their period musicianship and excellence. Tickets are $40 per person by advance purchase only. (Limit 100 tickets). After December 15th all tickets for the dance will be $45 per person. Dancing will be from 7:15pm to 8:30pm with a 30-minute interval, dancing to resume from 9pm to 10pm. NOTE: The dance list and steps for the evening will be published in advance and there will a dance workshop Friday afternoon TBA. 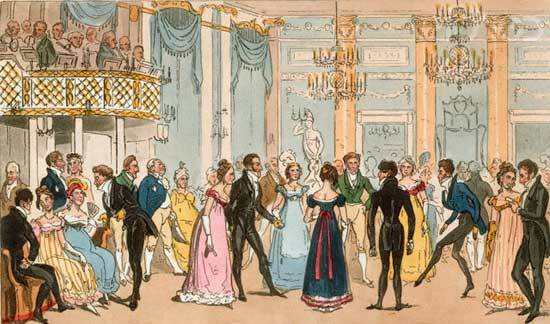 Federal/Regency Era Full Dress attire is admired but not required. If you do not have period attire, we ask that you wear formal attire--a suit and tie would be appropriate. Update 1/5/19: The Grand Ball is SOLD OUT! Check out our other events. PURCHASE $40 TICKETS HERE! Select your ticket from the menu, then click "Add to cart." A separate tab or window will open, and on that PayPal page you can select quantity. Select "Continue Shopping" to return to this page (or select this page's tab), or check out from PayPal. Don't click the back arrow on your browser from Paypal or you will lose the transaction. CLICK HERE to return to the main page and find tickets for other activities.